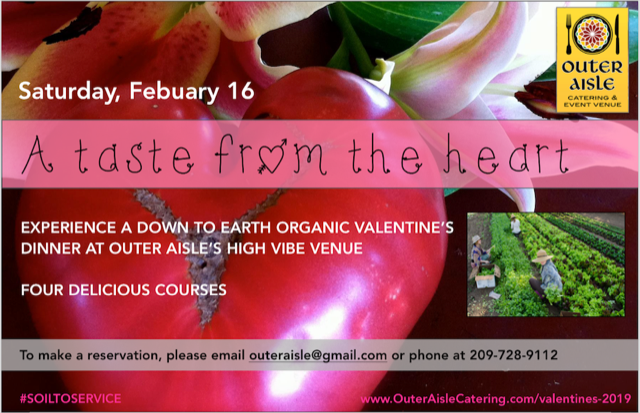 Experience a “down to earth” four course dinner celebrating Valentine’s at Outer Aisle’s “high vibe” venue. Entertainment by Nate Frazier, The Experimentalist. We love to create exquisite cuisine using seasonal farm fresh organic ingredients and sustainable proteins. Combined with our good tastes and high quality service you’ll experience food that nourishes.